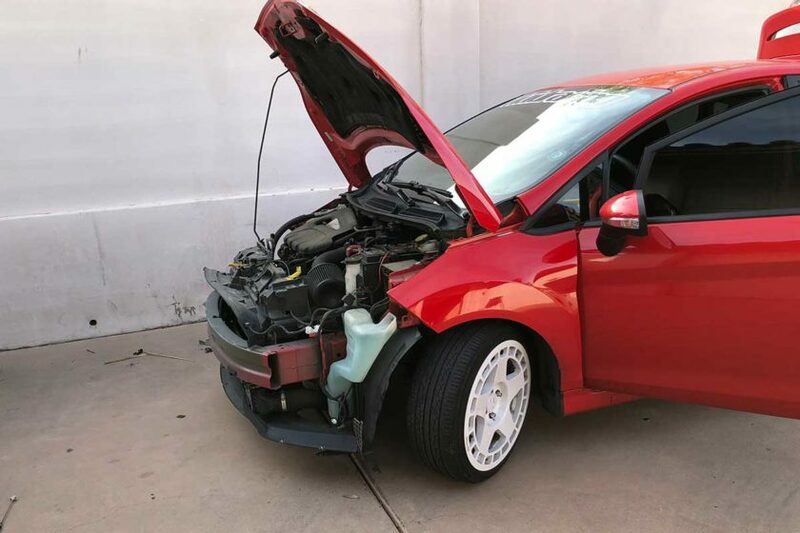 Project Fiesta ST has been around for a little over a year now. For that entire year, there was one part I always wanted, the Velossa Tech Big Mouth. There is one reason I wanted it: for the looks. Yes, it should slightly increase airflow to your airbox by ramming air into it, creating positive pressure, but I cared most about the looks. 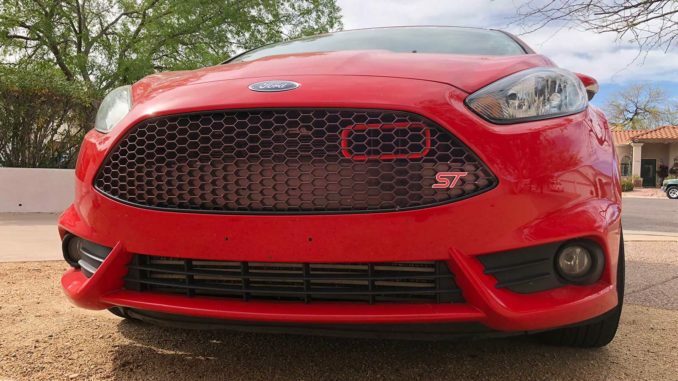 Project Fiesta ST now has the wheels I always wanted, a Cobb AccessPort, and now the Big Mouth which I also always wanted. We’re not going to create an install guide, as Velossa Tech has already published a pretty good install guide and it would be repetitive for us to do the same; however, we will quickly talk about the install process. 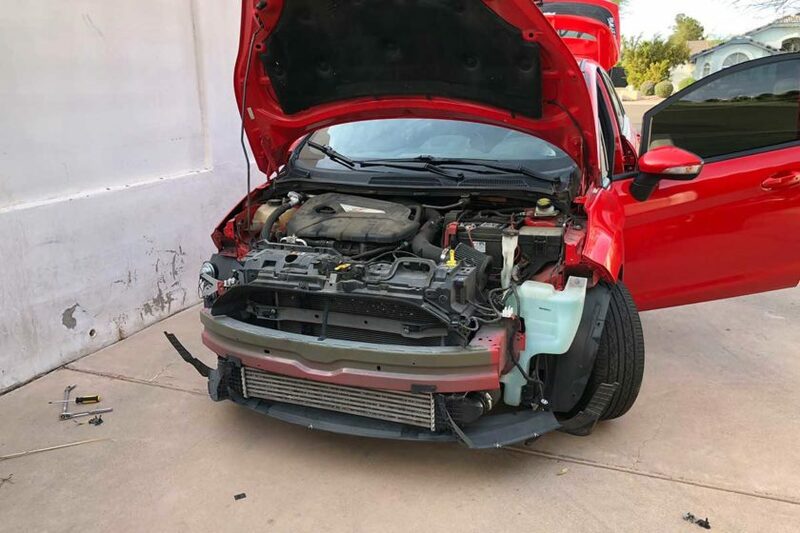 It may seem daunting to take apart the front end of your brand new, or nearly brand new, vehicle. This install is super easy and could be done by even a novice. You must first remove the headlights, then the bolts on top of the bumper. 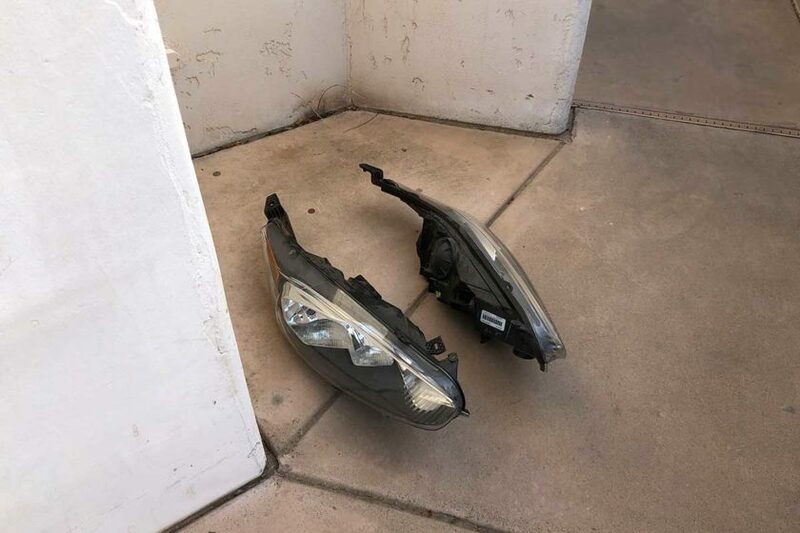 Remove the screws on the bottom of the bumper and inside the wheel well, disconnect the fog lights, and gently pull the bumper off. Once everything is disassembled, follow the instructions for cutting the hole in the plastic flap. I couldn’t find my Dremel at the time, and there was no cutting wheel for the angle grinder, so I used a giant survival knife, but I strongly DO NOT recommend using this method. Be careful installing the big mouth and use soap to help it slide into place. Be extra cautious not to lose the small nut Velossa Tech supplies. Reassemble everything, and you’re done! 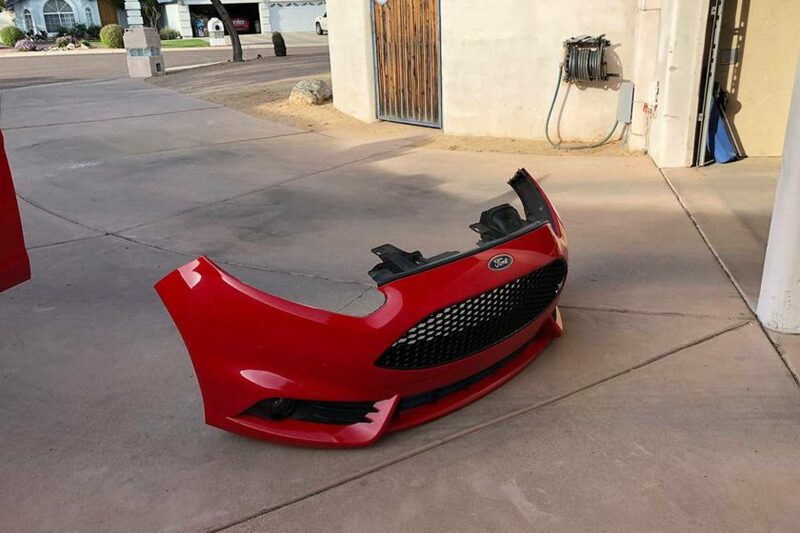 If you’re interested in picking up a Big Mouth for your car, head over to the Velossa Tech website and order yours!Be sure to check out the video below!